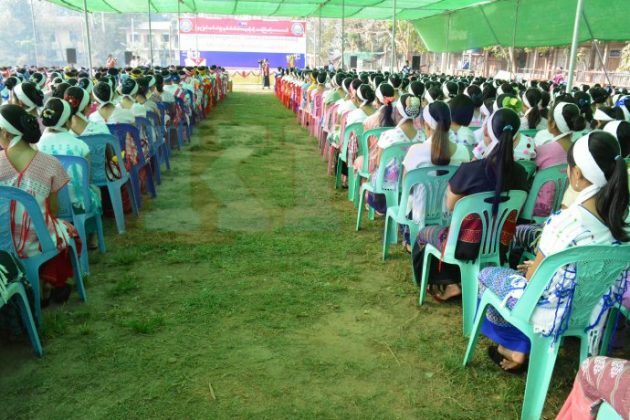 Over 800 Kayin State teachers are being trained in Karen language and culture in a three-week workshop in Hpa-An. From March 25 to April 10, the trainees, who are required to have a basic proficiency in Karen language, are being given instruction on how to teach children Poe and S’gaw dialects. The instruction will also extend to Karen traditional dancing, Karen poetry and Karen music. Around 200 of the 800 teachers participating in the workshop are from the state’s department of education, according to the Karen literature and culture association. “At my school, I teach kids the basics of [Karen language] that I already know from when I was young. After this training, I believe my classes will benefit a lot,” said Saw Thant Shwe, a teacher from Kanondo Village, Hpa-an Township.